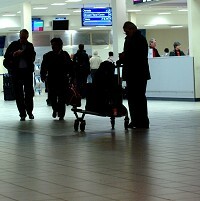 Many British holidaymakers visited the Canary Island of Lanzarote during the first half of 2011, according to a report. Statistics released by Spain's airport authority, AENA, showed a 13% year-on-year rise in UK tourist arrivals on the island during the January-June period, while total international tourist arrivals climbed by 20%. The Spanish island, which is the easternmost of the autonomous Canary Islands in the Atlantic Ocean, is well-known for its stunning black sand beaches. Meanwhile, Fuerteventura, Gran Canaria and Tenerife have all recorded a sharp increase in visitor numbers over the recent months. The recent turmoil in North Africa and the Middle East is thought to have encouraged holidaymakers to visit places that offer more safety and stability. A comprehensive travel insurance policy may prove useful for people setting off on a journey. People embarking on a holiday to the Canary Islands this summer can make a trip to Lanzarote and Tenerife, while those interested in adventure trips can visit the Timanfaya or Mount Teide national parks.